Barbourville Utilities monitors and manages the community's flood wall, complying with federal regulations for inspection and offering public monitoring of Cumberland River levels on this website. The wall was built following the devastating 1977 flood, to protect the city from flood damage. Torrential rain fell from April 2-5 that year, causing devastating floods across southeast Kentucky that killed 10 people. Fifteen Kentucky counties were declared disaster areas, including Knox and neighboring counties. Though the city of Barbourville was evacuated as a precaution, sandbag enforced levees protecting the town held back water. 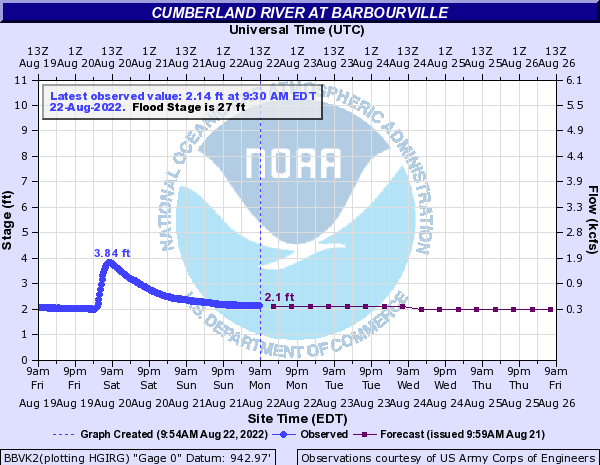 Cumberland River level information for Barbourville is provided by the National Weather Service's Advanced Hydrological Prediction Service. For more information and details, visit their website. 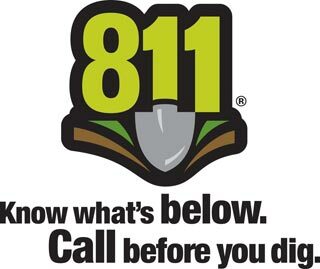 Barbourville Utilities is tasked with monitoring and managing the flood wall surrounding our city.